Summer light over Camusdarach Beach. Arisaig, near Morar, Scotland. Camusdarach Beach looking towards Rum and Eigg, Arisaig, Morar, Scottish Highlands. 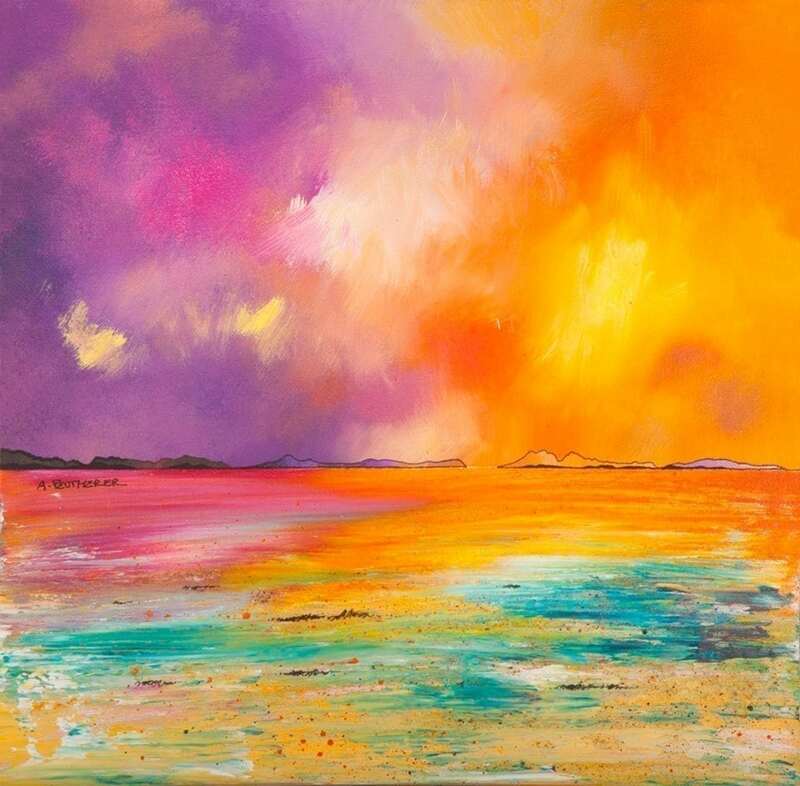 Painting & prints of Camusdarach Beach, Rum and Eigg, Arisaig, Morar, Scotland, Scottish Highlands by Andy Peutherer.